Even though public cloud providers already exist and offer computing and storage services, cloud computing is still a buzzword for scientists in various fields such as engineering, finance, social sciences, etc. These technologies are currently mature enough to leave the experimental laboratory in order to be used in real-life scenarios. 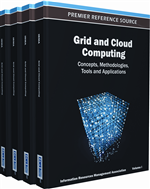 To this end, the authors consider that the prime example use case of cloud computing is a web hosting service. This paper presents the architectural approach as well as the technical solution for applying elastic web hosting onto a private cloud infrastructure using only free software. Through several available software applications and tools, anyone can build their own private cloud on top of a local infrastructure and benefit from the dynamicity and scalability provided by the cloud approach. In the past years, cloud computing has evolved to be one of the major trends in the computing industry. Cloud computing is, basically, the provisioning of IT resources on demand to customers over some kind of network, most probably the internet. Cloud computing is in this sense an evolution of utility computing, with the difference that in cloud computing one does not demand infrastructure but higher-level services (compute capacity, storage, software) and does not need the knowledge to work with infrastructure (Danielson, 2008).One of the most prominent cloud providers nowadays is Amazon’s Elastic Compute Cloud (EC2)(Amazon, n. d.), which even predates the term “cloud computing” (Figure 1) and can be seen as the foundation of this type of computing. Migrating to public clouds is often said to lead to lower capital expenditure, as there is no up-front cost for buying infrastructure, having floor space for it etc. Instead, the costs incurred by cloud computing relate to operational expenditure, for example if using a cloud provider with pay as you go scheme. While it is questionable that the total cost of either buying and running a server or buying capacity on demand from a cloud provider can be compared directly with each other, the whole burden of operating a data center, controlling and managing the infrastructure etc. is removed if a cloud provider is used(Golden, 2009). Exactly this lack of control over the infrastructure is what puts cloud users at risk. Richard Stallman, president of the Free Software Foundation, coined the term “carless computing”, stating that users should rather keep control over their own data and not hand data over to providers that move it to unknown servers at unknown locations (Arthur, 2010). Additionally, with public cloud providers, the problem of vendor lock-in always exists. Vendor lock-in “is the situation in which customers are dependent on a single manufacturer or supplier for some product (i.e., a good or service), or products, and cannot move to another vendor without substantial costs and/or inconvenience” (The Linux Information Project, 2006). The costs of lock-in to a customer can be severe and include, amongst others, “a substantial inconvenience and expense of converting data to other formats” and “a lack of bargaining ability to reduce prices and improve service” (The Linux Information Project, 2006). Besides the lack of control over the placement of one’s own data and vendor lock-in, other problems exist with private clouds, as with any business offer: the provider might decide that it is no longer interested in providing service to a customer, thereby disrupting the clients business, at least temporarily. This has happened, for example, to the non-profit organization WikiLeaks (Gross, 2010; MacAskill, 2010). The question is then: is there a viable alternative to public cloud providers which retains some of the flexibility one gains by moving to the cloud? And the answer to this question, luckily, is positive: yes, there is an alternative and it is building a private cloud. A private cloud is essentially the same thing as a public cloud, only hosted on a private network on one’s own physical infrastructure. Obviously, the host of a private cloud has to care about his own resources, which means that there are no upfront advantages for CAPEX. This, however, is less valid if a physical infrastructure already exists and is – either totally or partially – changed to a virtualized infrastructure. OPEX will probably be reduced when staying on one’s private cloud and not going to a public cloud, with the added advantage of having total control over the physical infrastructure, thereby avoiding the problems mentioned above. Private clouds seem to be of more and more interest, as can be seen in Figure 2.